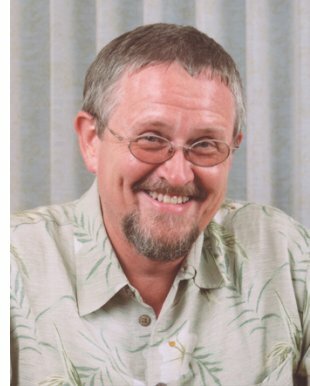 Orson Scott Card, author of one of the most popular SF novels of the past quarter-century, Ender's Game (1985), and its sequels, wrote stage plays for several years before selling his first SF story in 1977, the novelette "Ender's Game" (basis for the later novel). He won the John W. Campbell Award for Best New Writer in 1978, and Hugo and Nebula Awards for both Ender's Game and its first sequel, Speaker for the Dead (1986). Among his many other books are the "Tales of Alvin Maker" series, beginning with Seventh Son (1987); dark fantasy novel Lost Boys (1989); the "Homecoming" series, which retells ancient scripture as SF; alternate history novel Pastwatch: The Redemption of Christopher Columbus (1996); retrospective collection Maps in a Mirror: The Short Fiction of Orson Scott Card (1990); anthologies; and books on writing, including Hugo-winner How to Write Science Fiction and Fantasy (1990). Recently he has launched a parallel series to the Ender saga, including Shadow Puppets (2002) and two additional volumes forthcoming. He lives in Greensboro, North Carolina, with his wife and children. �It never crossed my mind that I would still be writing about Ender now. It�s not the only thing I�m doing, but it�s certainly the one my publisher is most enthusiastic about. I was all set to write another book in the �Alvin Maker� series a couple of summers ago, but then we had some family difficulties and it got set aside. By the time I was ready to write again, we needed another �Shadow� book. After Shadow of the Giant, there will be one final book that sort of ties the �Speaker� and �Shadow� books together. I�ve been writing other things all along, things that are outside the field, so I have no qualms about writing more stories set in the same future as Ender�s Game, if only because I still have stories I�m interested in telling. The things I�m doing now are certainly not the same as the original. I would have to call them - jokingly - my Tom Clancy novels (future conflict and so on). But I�m also doing Old Testament women at the same time, so it�s not as if I�m in a rut. It�s not like doing mysteries, where you have to follow a similar structure over and over again with a series character. I get to develop my characters, move them along in their lives, kill them off if need be, and deal with the way the world works as I see it. The readers still seem to be responding, and at the same time I�m able to reach new readers who aren�t the least bit interested in the �Ender� universe. �I think the more the fiction writer tries to make a moral statement, the less effective the moral statement will be. Fiction by its very nature will have a moral statement, no matter what you do, so the most powerful and effective are the ones the writer is not even all that conscious of putting in. As soon as you try to control it and Make a Point, you�re probably going to start bending and twisting your story away from what you instinctively believe it should be toward what you have intellectualized it ought to be, and your story becomes more false and less effective as a moral statement.